Are their prices really as low as they’d have you believe? And are the products worth buying? Find out in our review below. Don’t miss our special coupon! 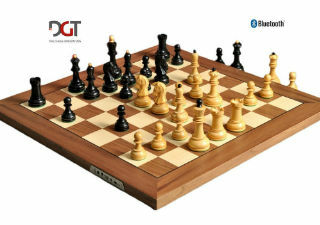 Wholesale Chess, despite its name, is an online chess store that sells chess products to the general public in regular quantities, rather than wholesale items directly to retailers. Rather, the “wholesale” part of their name is supposed to describe the low prices at which they sell their products. 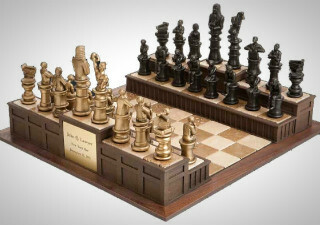 But the benefit that Wholesalechess offers over true chess equipment wholesalers is the ability to buy in smaller quantities at the same low prices. There aren’t many people who need to purchase hundreds of chess boards at one time, but everyone wants to get the best price available! 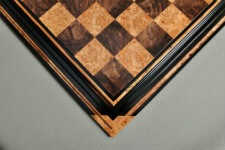 House of Staunton – Manufacturer of the world’s finest chess products. Great customer service. Shipping Worldwide. Use Coupon Code CSCOM for 10% Off! 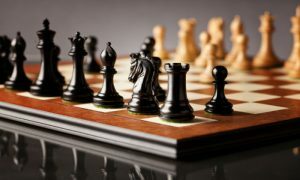 Let’s dive right in and take a closer look at how they stack up against other popular online chess stores. We’ll be examining their performance across several different categories, including product selection, product quality, fairness of pricing, customer service, shipping methods, and payment options. Without further ado, let’s get to the review! 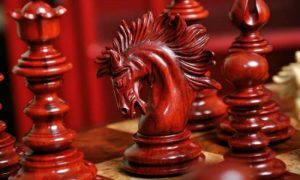 The Wholesale Chess website doesn’t mention much about their history in the business, so we dug up the details from other sources. 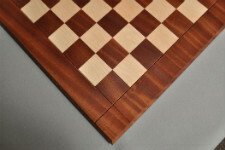 Wholesale Chess is based in Kaysville, Utah. It was founded as a business in 2005. It is still a small business, employing about 10 full time employees. 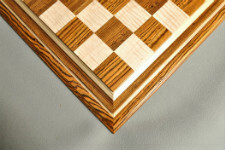 It strives to provide the best selection, prices, and service available in the chess industry. That’s quite a tall order! Let’s see how they’re living up to that goal in the other categories. 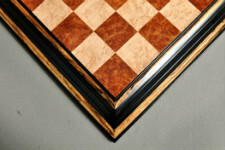 Wholesale Chess is still a relatively small business that many people don’t know about yet. Though it seems to be growing quite quickly, word hasn’t really gotten out about it far and wide enough for it to form a solid reputation in the public eye. What we have seen written about it, though, has been largely positive. Customer reviews praise Wholesalechess for its low prices, excellent customer service, and impressive quality of products. With reviews like these, we think it’s only a matter of time until Wholesale Chess explodes in popularity with a sterling reputation. The quality of the products sold at Wholesale Chess will obviously vary somewhat from brand to brand and product to product. 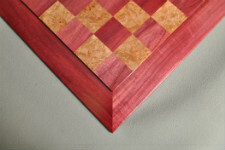 However, for the most part, you can get a great value for your money when you shop at Wholesale Chess. 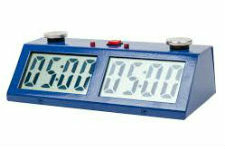 Their competitive pricing and quality products ensure that you get the most possible bang for your buck. We wouldn’t classify the products available at Wholesale Chess as luxury products, but they do make a fine choice for the average consumer. 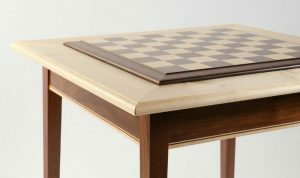 Some of the more luxurious touches are left off of sets from Wholesale Chess, and more standard materials are used rather than marble and other more expensive options. 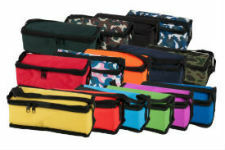 This helps keep costs down while still providing customers with an excellent, durable product. There are also some details that most people would not even notice, such as casting seams on pieces being visible. 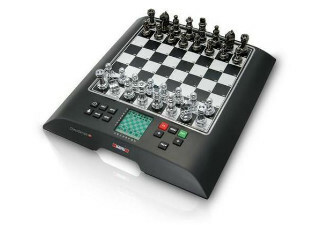 This would not be acceptable on a top of the line, luxury chess set, but it doesn’t take away from the functionality of the set whatsoever, and is par for the course on mid to low budget equipment. 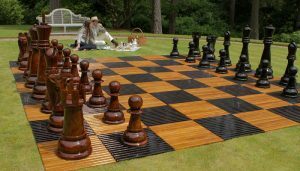 We think that as long as you keep your expectations in line, you can get a great deal from Wholesale Chess and be very pleased with the products that you receive. 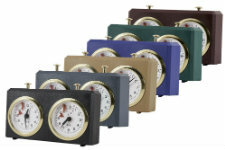 You won’t be getting a state of the art luxury art piece with all the bells and whistles at this price point, but you will receive a good, solid set that looks good and functions well. 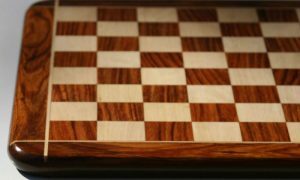 As we touched on in the last paragraph, we think that the prices at Wholesale Chess are extremely fair for the quality of product that you are getting. 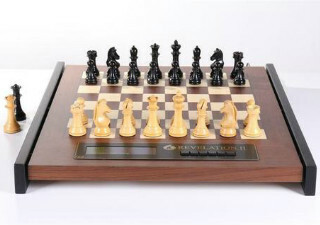 Wholesale Chess consistently offers phenomenally low, bargain bin pricing on lovely mid range chess equipment, which is a great deal. 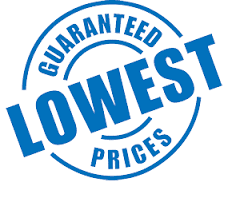 They also have a price matching policy which guarantees you the lowest price available. To take advantage of this policy, all you need to do is contact their customer service department and provide a link to an online store that’s selling the same product at a lower price. After review, if the item meets a few other basic criteria, you will be offered the new lower price. You really can’t beat that! A few things to keep in mind about the price matching policy is that it applies to online stores only, and you must provide a link to a product that is identical (same packaging, UPC code, etc) to a currently in stock product on the Wholesale Chess website. Both items must be currently in stock and available for purchase. The item must not be being discontinued, and no further discounts or promotional codes may be applied to the price matched item. If you really want to know how fair the prices are over at Wholesale Chess, just go over and check them out for yourself. You will be amazed! Just scrolling through one page of chess sets and seeing the advertised prices is enough to make you never want to shop for chess equipment anywhere else ever again. If you want to save even more money, there are still a few options available to you. 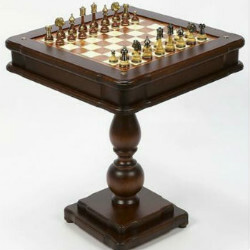 Wholesale Chess will, like any other store, occasionally have sales and discount codes available. To be among the first to know about those events, we would recommend signing yourself up for the wholesalechess newsletter. News of upcoming sales and promo codes will be sent to newsletter subscribers first, so make sure to keep an eye on your email. In between sales, the sale section is still full with discontinued items, clearance items, and scratch and dent products that are being sold at a discounted price for one reason or another. Clearance items may be on sale to help get rid of them faster due to them being destined for discontinuation, slow sellers, or any other reason. Discontinued items are on their last stop before they are no longer sold, giving customers one last chance to stock up on favorites before they leave wholesalechess.com. 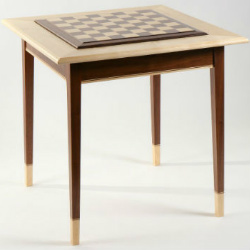 Sometimes these items are no longer being stocked by Wholesale Chess, and sometimes they are no longer being made by their manufacturers. Either way, you had better snag them quick while you still can. Scratch and dent items are, of course, items that have suffered minor cosmetic damage but still function adequately. If you don’t care much about how your chess equipment looks, as long as it works properly, you can score an amazing deal in the scratch and dent section. It’s clear that Wholesale Chess cares about its customers from the resources it has poured into its customer service department. Reviewers have said that even when they had a problem with an order placed with Wholesale Chess, the customer service team was able to help them out promptly and politely and turned their bad experience back into a good one. That’s the ultimate praise for a customer service representative! Even though Wholesale Chess is a relatively small company with only a handful of full time employees, they have a robust customer service department. Customers can get in touch with them by snail mail, email, by phone from the hours of 8 AM to 5 PM Mountain Time, or in an online chat program at any time of the day or night. That’s remarkable for a small business. The friendly customer service representatives can help you with any aspect of your order, from answering questions about products you’re interested in buying to helping you secure a price match to initiating the return process for you if you’re ultimately unsatisfied with your purchase. They’re there every step of the way! They can also help you find the right replacement pieces for your set if one gets lost or broken over the lifetime of your chess set. 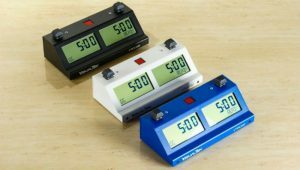 Wholesale Chess offers free shipping on orders over $65 and flat rate $6.99 shipping for orders that fall under that threshold. These rates apply only to orders that are being delivered within the continental United States. These orders are delivered by either FedEx or the United States Postal Service. Most orders are shipped out the following day from when the order is originally placed. Delivery times vary depending on the carrier, service selected, and certain weather conditions. International orders are possible, but they require jumping through some extra hoops. The first order placed by you from outside the US or Canada will need to be paid for with money wire only. There will also be an additional $25 fee to cover the cost of bank fees for receiving the wire. After a relationship is established and successful orders are made to your international address, PayPal and credit card payments will be possible on future orders. For orders within the United States, a variety of payment methods are accepted, including PayPal, Amazon Pay, credit card, or money order. As far as the return policy goes, you may return any unopened product with 30 days of purchase, with extra time allowed over the Christmas holidays. You will not be refunded shipping charges and in fact if your order was originally eligible for free shipping, the true shipping cost will be deducted from your refund amount. Items that are returned and are not in new, unopened condition may be subject to a restocking fee of up to 25 percent of the original purchase price. 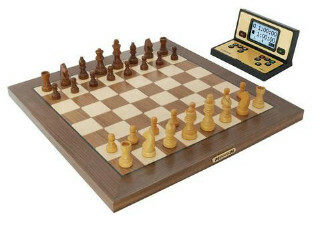 Wholesale Chess checks out as a great place to buy mid range quality chess sets at an extremely affordable price. It’s a great place to shop for beginners or those on an extremely tight budget. You’ll certainly be able to find a good deal here. The product selection is wide and varied, and the product quality is higher than might be expected for the price. There are regularly sales and other ways to get even more deeply discounted products, and the customer service department is, by all accounts, very friendly and helpful, even if the return policy is a bit restrictive. 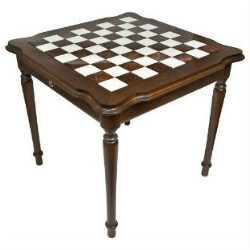 We recommend Wholesale Chess for anyone who is looking for a good deal rather than a luxury chess set. 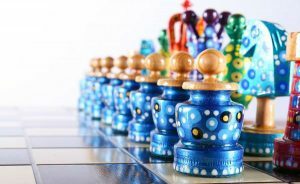 If you’re someone who is looking for a more high end product, maybe something handmade by artisans and crafted from premium luxury materials, Wholesale Chess isn’t the store for you. 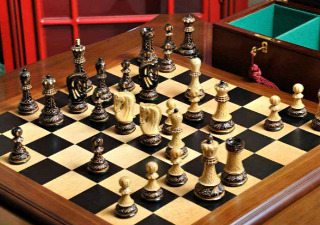 You would have better luck finding what you’re looking for at a more upscale online chess store such as The House of Staunton, The Chess Store or Chess House. 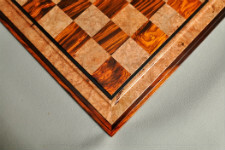 They specialize in selling the kind of custom, one of a kind works of art that simply aren’t available at Wholesale Chess.